MoMA’s Senior Curator Roxana Marcoci took the time to talk with Objektiv a few hectic days before Ocean of Images: New Photography 2015 opens to the public. This Saturday, the New Photography series returns to MoMA in its 2015 edition, marking its thirtieth anniversary. On this occasion, New Photography has amplified its physical and conceptual premises, featuring the works of nineteen artists and artist collectives from fourteen countries, and including several installations commissioned or made specifically for the exhibition. Always diverse, the exhibition is in constant dialogue with critical ideas in contemporary art, and committed to highlighting individual achievement, rather than summarising movements or trends. The 2015 edition explores contemporary photo-based culture, focusing on connectivity, circulation of images, information networks and communication models. The artists included collectively redefine photography as a fluid ecosystem, a format without traditional notions of medium specificity, a porous field where digital and analogue, online and offline, virtual and real dimensions cross over. Lisa Andrine Bernhoft-Sjødin: There’s a great sense of excitement and anticipation surrounding this upcoming exhibition. The photographic medium is pregnant with challenges facing artists and curators. The institutions/cultural spaces tend to categorise and create fixed ideas, but defining what a photo practice should be or what photo art should state overlooks the fluidity of the photographic idea. You’re engaging in these challenges, so what I’d like to know is where this exhibition will take the photographic discourse? 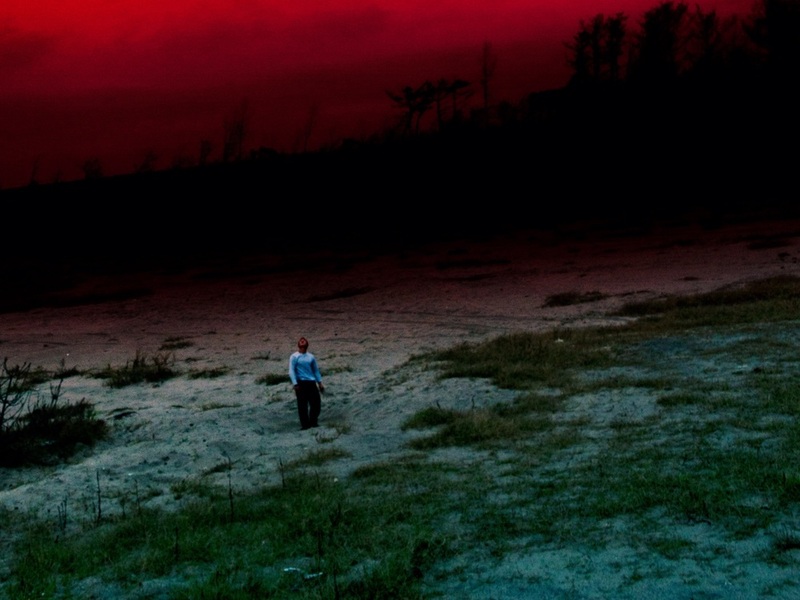 Roxana Marcoci: The question that Ocean of Images: New Photography 2015 asks is not ‘What is photography in the twenty-first century?’, but more broadly and critically ‘What is contemporary photo-based culture?’. Photographs have the power not only to depict or represent the world, but to be its co-creators. If you want a particular image, chances are it already exists. Reality now widely consists of images. In the age of digital connections, one is always engaging, interfacing, interacting, communicating or processing within some telematic milieu. And when we delink ourselves, the internet still persists offline as a mode of life. Probing the image-based post-internet, post-production reality, Ocean of Images examines various ways of experiencing the world: through images that are born digitally, made with scanners or lenses in the studio or the real world, presented as still or moving pictures, distributed as zines, morphed into three-dimensional objects, or remixed online. The exhibition underscores a new sense of the materiality of images and the birth of parallel worlds. Its title refers to the internet as a vortex of images, a site of piracy and a system of networks. LS: Is this vortex of images we’re experiencing unique to our time do you think? RM: No, the mass-media explosion of photographic images first occurred in the 1920s when artists began experimenting with montage and dynamic modes of media production, which led the Weimar media sociologist Siegfried Kracauer to refer to the new phenomenon as a vital, though negative, step towards enlightenment. In his essay ‘Photography’, Kracauer argued that this ‘blizzard’ of images was catapulting the photographic archive of modern life into the realm of allegory. Then, in 1983, a few years prior to the launch of the World Wide Web, the Brazilian-Czech theorist Vilém Flusser noted in his treatise Towards a Philosophy of Photography that human civilisation has seen two fundamental turning points since its beginnings: ‘The first occurred approximately during the second half of the second millennium, B.C., and may be defined as “the invention of linear writing". The second – we are witnessing it – may be called “the invention of technical images".’ He argued that given the transformation of textual into visual culture (from the linearity of history into the photographic dimension), a large part of our perception and interpretation of the world came to be shaped by transformations in photographic formats and image flux. LS: Given that the ambition of the New Photography series is not to identify a movement, what has been your rationale in choosing these artists? LS: And thereby they’re highlighting a reconfiguration of photographic language. RM: Yes. Ocean of Images includes several installations and a few analogue and digital book projects that engage the dissemination and mutability of visual forms into a newly reconfigured language as you say. LS: Can you give some examples? RM: A group of freestanding photographic cutouts of animals and symbols culled from online sources constitutes Katja Novitskova’s contribution. The works are on view both inside the galleries and in front of the large windows in The Agnes Gund Garden Lobby. Novitskova’s work considers the connections between bio-diverse life forms, evolutionary processes and human expansion. She finds digital images of the natural world online and isolates, edits and combines them, examining ecology and information systems. Here, her subject is a recently described species of peacock spider found in Australia. This image was taken in 2013 by one of the species’ discoverers and posted on an image-sharing website. Not precisely representations of nature as much as representations of information networks, Novitskova’s works signal a contemporary shift in which digitally circulated images evolve with an agency of their own. Also, in his 12-volume Astronomical (2011), Mishka Henner maps out the solar system in book format. Playing with the narrative expectations of the viewer/reader and the immensity of outer space, he recreates the spatial relationships between the celestial bodies at human scale, with each page of the book representing one million kilometers. Seeing the individual pages, one after another, transports the viewer into seemingly endless darkness, undermining the multi-volume encyclopedia as a genre of knowledge gathering. Adopting a different approach, David Horvitz explores appropriation and viral imaging in Mood Disorder (2015). Having taken an image of himself, head in hands, he uploaded it to Wikipedia, linked to the page on mood disorders. The rhizomatic quality of image-sharing on the internet took over: the picture was fast featured in news articles, blogs, and forums, and uploaded and downloaded countless times – a process that the artist documents as a book, repeating and expanding the cycles of dissemination and publication. This viral process is irreversible and unending: the photograph still continues to appear in internet searches and posts. Along the way, the circulation of the image reinforces Horvitz’s pose as cultural shorthand for emotional or mental illness, tracing the ways we oversimplify and stereotype in order to understand. But perhaps the most striking example is that of the art media collective DIS. Founded in 2010 as a ‘post-Internet lifestyle magazine’ the New York–based collective, comprising Lauren Boyle, Solomon Chase, Marco Roso and David Toro, has since branched out into a range of practices. 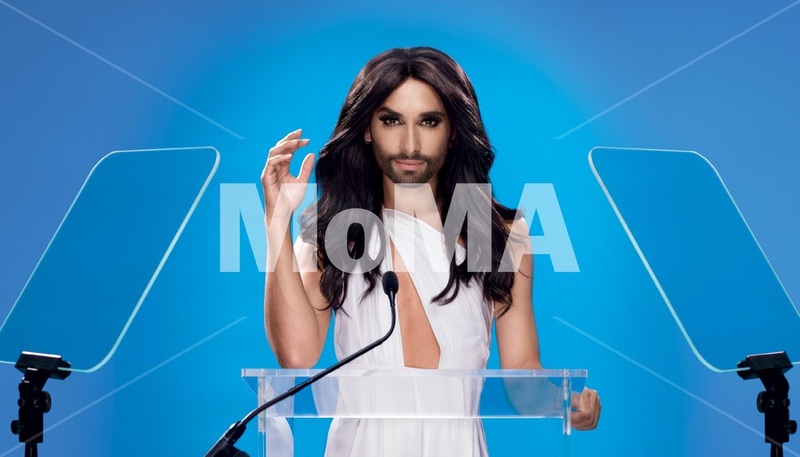 In a special commission, DIS collaborated with the curatorial and marketing teams at MoMA to create a signature image for the advertising campaign featuring Conchita Wurst, who rose to international fame after winning the Eurovision Song Contest in 2014, becoming both an icon of the European pop world and a controversial figure among the conservative factions of the continent. With this image, DIS investigates Wurst’s status as a viral symbol of celebrity culture through imagery emphasising the flawlessness of her public presentation. DIS affirms the impact a single person can have through global networks of communication and image sharing. LS: And there are also works that connect with the exhibition spaces. RM: Right. Katharina Gaenssler, for instance, has created a photo-wallpaper installation – composed of hundreds of pictures – that explores the relationship between MoMA and the Bauhaus, the influential modernist school of art and design founded in Germany in 1919. MoMA’s Bauhaus Staircase is based on the famous stairway at the school’s main building in Dessau, designed by Walter Gropius, its founding director. 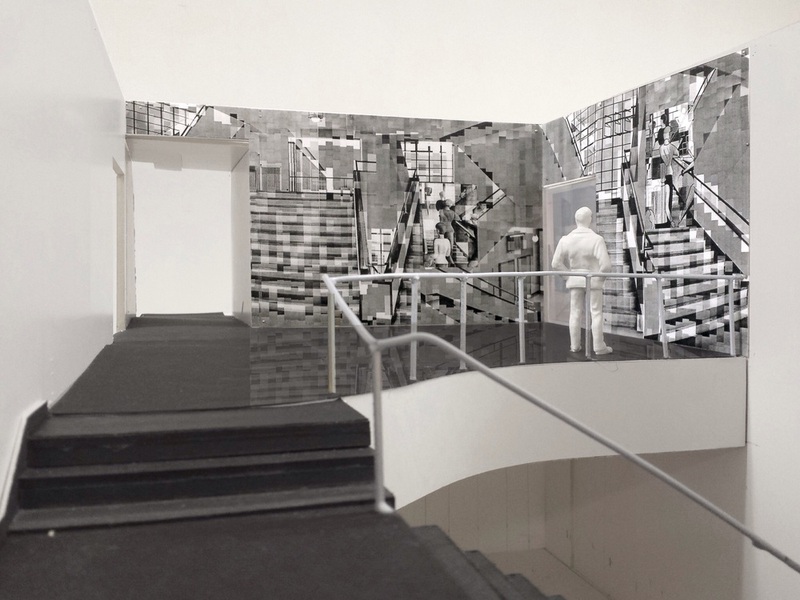 Gaenssler has collaged photographs of the original staircase, MoMA’s Bauhaus Staircase and two paintings in MoMA’s collection that reference the staircase: Bauhaus Stairway (1932) by Oskar Schlemmer and Bauhaus Stairway (1988) by Roy Lichtenstein. Her work deconstructs and reconstructs this transitional space in the Museum, tracing the history of the Bauhaus’s monumental contributions. LS: MoMA´s large photography collection holds more than 35,000 images. Archival material from the past New Photography series is now online. It’s a great resource for the viewer in contributing to the identity of the photographic. RM: MoMA’s collection is indeed an early pioneer in presenting and conceptualising a history of photography. The online platform that you mention is live and features selections from the archive of the New Photography series, including documents and images from its thirty-year history. It’s a great resource that speaks of the changing DNA of photography. 100 artists from around the globe were presented early in their careers in this forum, including such well-known names as Judith Joy Ross, Philip-Lorca diCorcia, Rineke Dijkstra, Rachel Harrison, Thomas Demand and Wolfgang Tillmans. A few years back, the New York Times wrote that if we were to compile a catalogue of the works included in this exhibition series, we’d end up with a compendium of contemporary photography. Ocean of Images: New Photography 2015 will be on view from 7 November 2015, to 20 March 2016. Artists exhibited: Ilit Azoulay, Zbynek Baladrán, Lucas Blalock, Edson Chagas, Natalie Czech, DIS, Katharina Gaenssler, David Hartt, Mishka Henner, David Horvitz, John Houck, Yuki Kimura, Anouk Kruithof, Basim Magdy, Katja Novistkova, Marina Pinsky, Lele Saveri, Indre Serpytyte and Lieko Shiga. An expanded, biannual format will be on view throughout the Edward Steichen Photography Galleries, as well as The Agnes Gund Garden Lobby and Bauhaus Staircase. The longstanding exhibition series, a vital manifestation of the Museum’s contemporary programme, is its first with Chief Curator of Photography Quentin Bajac at the helm.